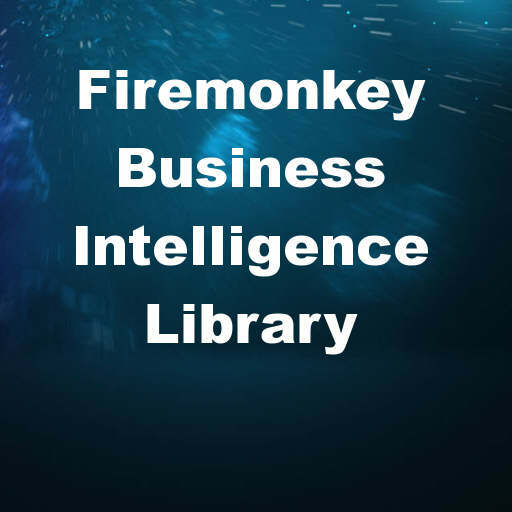 Developer David Berneda from Steema Software has released a beta version of a Business Intelligence (TeeBI) library for Firemonkey in Delphi 10 Seattle. TeeBi “enable data gathering, processing and optionally interacting with machine-learning algorithms”. You can import data from a vast number of formats like Excel, CSV, JSON, etc. and then you can process the data with filters, sorting, etc. very quickly. Performance is a key aspect of the library. Integrations are provided for interfacing with R and Python languages. There are a number of supported grid and import components like Woll2Woll and TMS for displaying data plus SuperObject and UniDAC for importing it. It comes with a TBIDataSet component which behaves like TDataSet. The library looks to support Android, IOS, OSX, and Windows. Reading the license it seems like you can compile and distribute your application using the library for free but you can’t distribute the library itself in source code form. As it is currently in beta the license may change when it is released. There is a pretty extensive Starting Guide and a number of examples included. Full source code is provided with the library. It probably works with Appmethod and C++Builder as well. If you are processing big data or dealing with business intelligence this is something to check out to see if it meets your needs. Head over to the Google+ community site and download the latest version of the TeeBI source code and get the latest updates.